At Outsource2india, we help develop high-quality HTML5 mobile apps which not only help keep your costs in check by working seamlessly across different mobile app platforms, but mimic the look and behavior of the best native apps out there. This means faster development times, and access to a larger user base across multiple platforms for you. All HTML5 apps built by our experienced developers are fully secure and are built from the ground up for easy maintenance and improved scalability. Cross-platform solutions for a variety of different smartphone platforms, such as iOS, Android, Windows, etc. Developers with a minimum of 5 years of experience in HTML5 frameworks such as Sencha, PhoneGap, SproutCore, etc. A one-stop-solution for all HTML5 web apps and mobile development services, including UI/UX experts, App Porting and QA, Business Analysts, etc. High-performance apps with native looking UI widgets, adaptive layouts, smooth scrolling, etc. Get Started with High-Quality HTML5 App Development from Outsource2india! 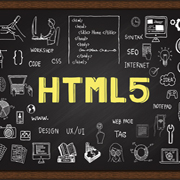 With the demise of flash, HTML5 is presenting its case as a strong contender for mobile and web development. Not only is HTML5 secure, but incredibly versatile as well. From mobile phone apps to the ads running on them, everything can be coded in HTML5, while ensuring that the speed and reliability of the app does not take a hit. We have some of the most talented HTML5 mobile application developers in the world today. We promise our clients of on-time delivery, and create stunning HTML5 application which look and perform better than most native apps you might have seen. Contact us today to create breathtaking HTML5 mobile apps which can propel your business to new heights!